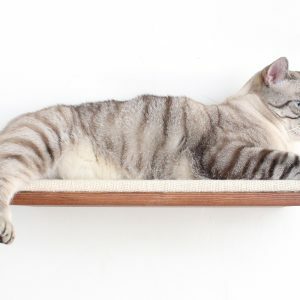 Large shelf for a medium-sized cat to lounge on. 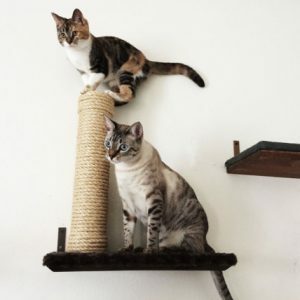 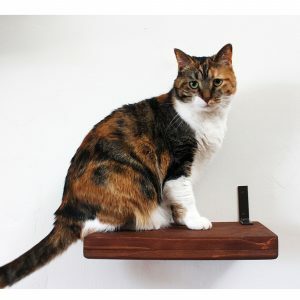 1 (one) 18″ Solid Cat Shelf. 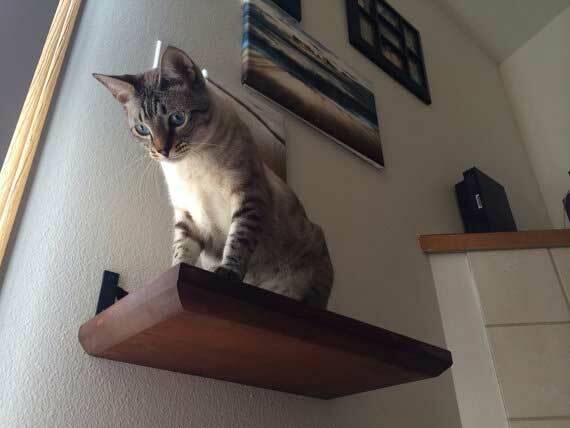 This solid wood shelf is extremely sturdy and has a beautiful wood grain pattern. 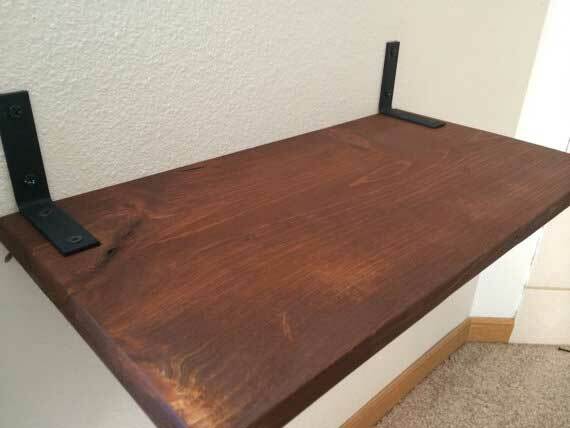 Each shelf has its own naturally unique look. 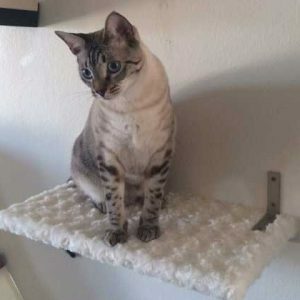 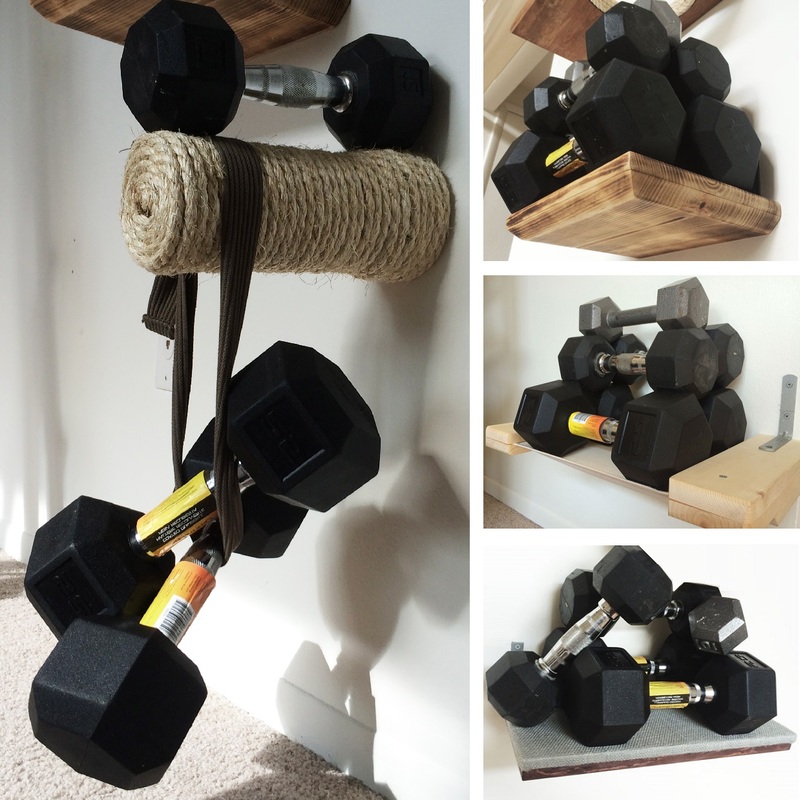 This is a larger shelf that can be used as a way to get up to a larger structure or if your cat just needs a spot to take a quick nap. When screwed into studs, all of our wooden shelves are very strong and have been tested to hold 85 lbs. 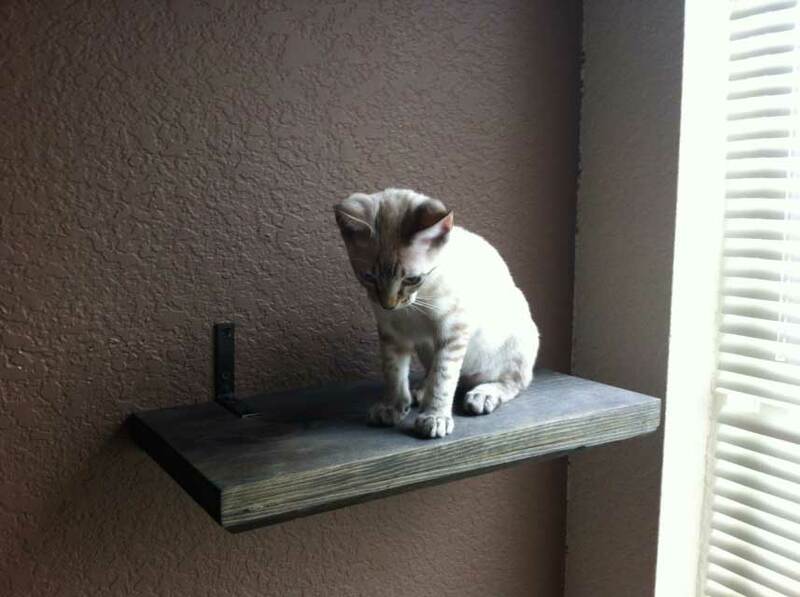 The brackets will come detached and all of our furniture also comes with screws. 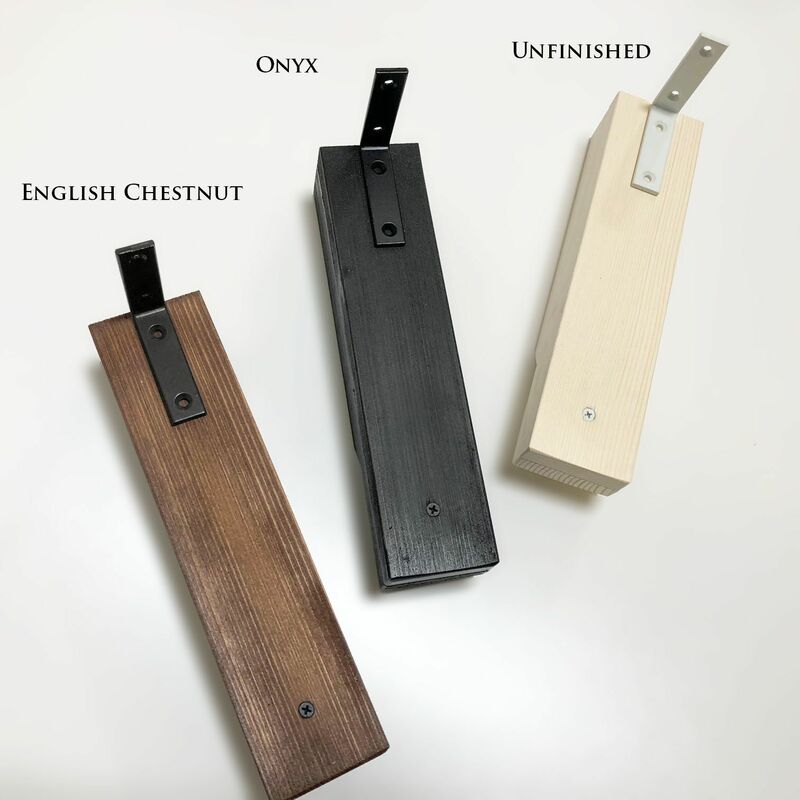 Pictured are shelves in English Chestnut and Onyx stains.